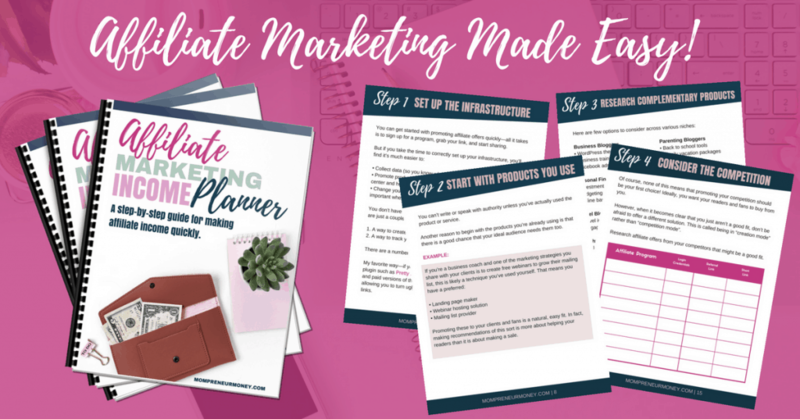 Learn how to start making money quickly with this affiliate marketing planner. 6 Affiliate Marketing Tips from a 6-Figure Blogging Boss! It's no secret that I love talking about affiliate marketing tips. It's one of the topics that I bring up the most on Mompreneur Money. A few years ago I signed up for my first affiliate marketing training--a course called Making Sense of Affiliate Marketing run by a savvy personal finance blogger named Michelle. At the time, Michelle was earning $50,000 a month from … [Read more...] about 6 Affiliate Marketing Tips from a 6-Figure Blogging Boss!